Unpaid Bills Land Some Debtors Behind Bars Debtors' prisons are illegal in every state, but more and more Americans are finding themselves behind bars as a result of unpaid debt, some for just a few hundred dollars. The state of Illinois is investigating creditors who might be abusing their power and sending debtors to jail. 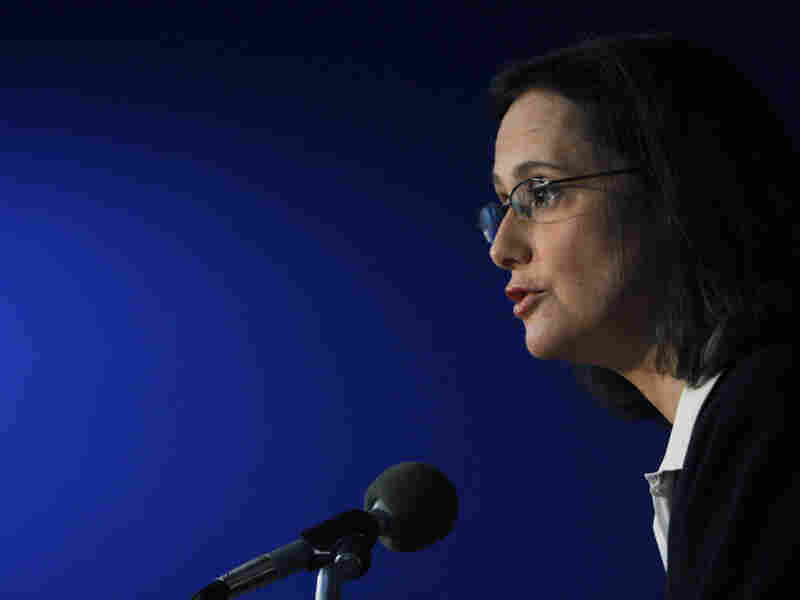 Illinois Attorney General Lisa Madigan thinks more can be done to keep debtors out of jail. She says the state is investigating creditors that it thinks are abusing laws by incarcerating debtors. Although debtors' prisons are illegal across the country, it's becoming increasingly common for people to serve jail time as a result of their debt. Collection agencies are resorting to some unusually harsh tactics to force people to pay their unpaid debt, some of whom aren't aware that lawsuits have been filed against them by creditors. Take, for example, what happened to Robin Sanders in Illinois. She was driving home when an officer pulled her over for having a loud muffler. But instead of sending her off with a warning, the officer arrested Sanders, and she was taken right to jail. "That's when I found out [that] I had a warrant for failure to appear in Macoupin County. And I didn't know what it was about." Sanders owed $730 on a medical bill. She says she didn't even know a collection agency had filed a lawsuit against her. "They say they send out these court notices, and nobody gets them," Sanders says. Similar stories have been reported in Indiana, Tennessee and Washington. Here's how it happens: A company will often sell off its debt to a collection agency, generally called a creditor. That creditor files a lawsuit against the debtor requiring a court appearance. A notice to appear in court is supposed to be given to the debtor. If they fail to show up, a warrant is issued for their arrest. The U.S. became an early proponent of banning debtors' prisons, especially since up to two-thirds of Europeans who came to the colonies arrived in the New World with debt. Before the debtors' prisons were done away with, thousands of Colonial Americans were thrown in jail for their outstanding debt — which sometimes totaled less than 60 cents. Although debtors' prisons are now illegal across the country, a study by the Wall Street Journal found that more than a third of all states in the U.S. allow borrowers who can't or won't pay to be jailed — including those states where debtors' prisons are explicitly prohibited by state constitutions. A report by the American Civil Liberties Union found that people were imprisoned even when the cost of doing so exceeded the sum total of the debt they owed. In the city of New Orleans, for example, the sheriff pays $22.39 per day for each detainee held in the Orleans Parish Prison. Sean Matthews, a homeless construction worker, was incarcerated for five months for $498 of legal debt in 2009. Matthews' jail time cost the city $3,201.77 — more than six times the amount he owed. Some are even made to pay for their jail time themselves. Walter Riepen, a Michigan resident, was sentenced to 30 days in jail. After his release, he was billed $1,260 — the cost of his incarceration at a rate of $60 a day. Since his only income is a monthly Social Security disability payment, Riepen cannot pay back the amount, and the ACLU reports that he still lives under the threat of being sent back to prison for his unpaid legal financial obligations. Beverly Yang, a legal aid attorney with Land of Lincoln Legal Assistance, says most debtors don't know their rights. In fact, she says, some judges don't even know debtors' rights, which could result in the debtor being intimidated into a pay agreement. "I've seen this even when I'm standing in the court room as the legal aid attorney," Yang says. "The judge will ask if they can pay, how about $150 a month. How about $75 a month? How come you can't even pay $50 a month? Did you apply for a job last week?" The Federal Trade Commission received more than 140,000 complaints related to debt collection in 2010. That's nearly 25,000 more than the previous year. Yang says some creditors are eager to use harsh tactics. "Whatever the creditors or the creditors' attorneys can do to leverage some kind of payment, it will help their profits enormously because they have, literally, millions of these." Kevin Kelly, president of the Illinois Creditors Bar Association, says members of his organization only issue warrants in extreme situations. "There's an assumption in what you're saying that we'd rather throw them in jail than work with them," he says. "And I don't find that to be true at all." Sometimes it's the debtor who's keeping information from the collectors, Kelly says. That prevents important documents from getting to the right place. He says most collectors want to make reasonable arrangements, but it's difficult when the vast majority don't respond to the notices sent to them. Illinois Attorney General Lisa Madigan thinks more can be done. It's illegal in Illinois for people to be sent to jail because they're in debt. But Madigan thinks some creditors are abusing the law. "You wouldn't be in that predicament if you didn't have debt," Madigan says. "But for being in debt, you wouldn't be in prison. And that essentially equates to being thrown in jail, debtors' prison." She says courts need to be certain they have correct information to serve notices. Madigan also says judges need to be properly educated in these proceedings to prevent a debtor from needlessly going to jail. The Illinois attorney general also says the state is investigating agencies that it thinks are abusing the law. As for Sanders, she has a remaining balance of about $160 on her medical bill. But at least she now knows she won't have to go to jail for it.